I love Contributor pages. 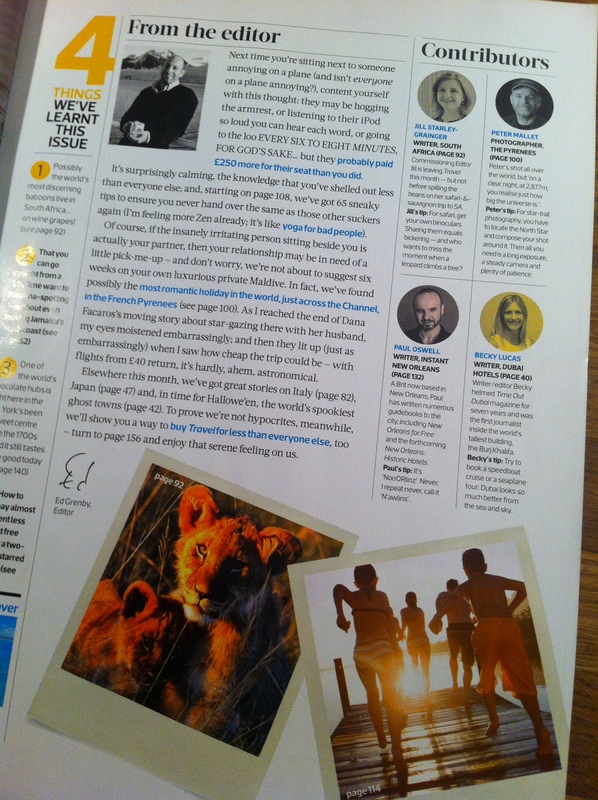 I love reading about the people who put magazines together. It’s always the first bit I flick to, if the editor has seen fit to include one. 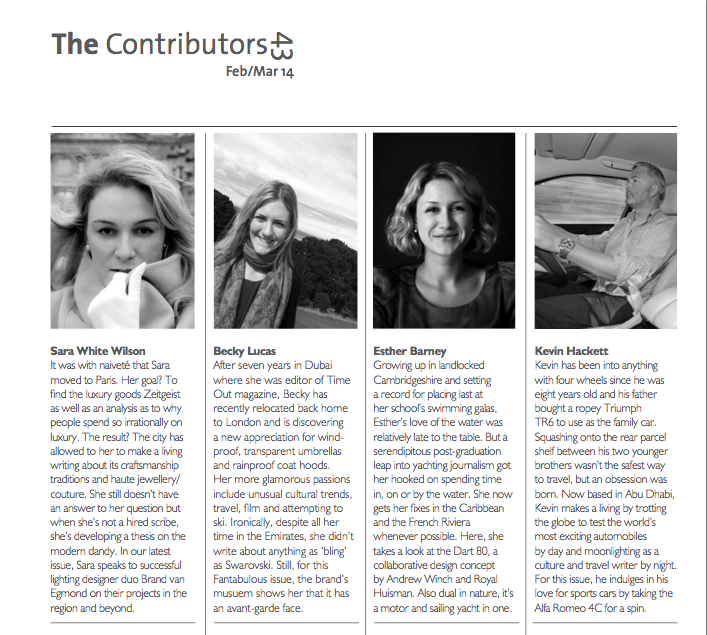 So, in the hope that you’re as nosy as I am, here’s my little appearance on Bespoke‘s Contributor page this issue, alongside some other interesting characters.